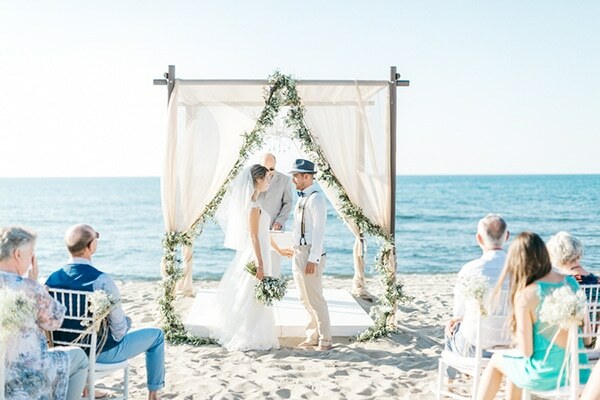 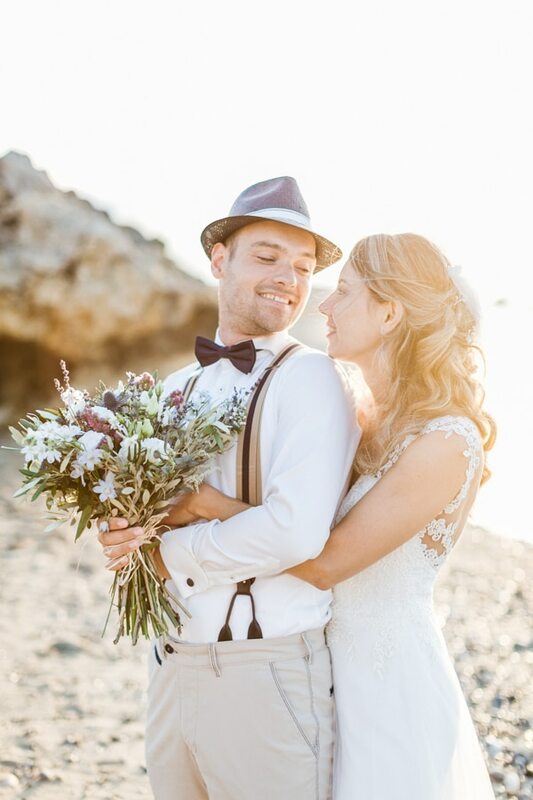 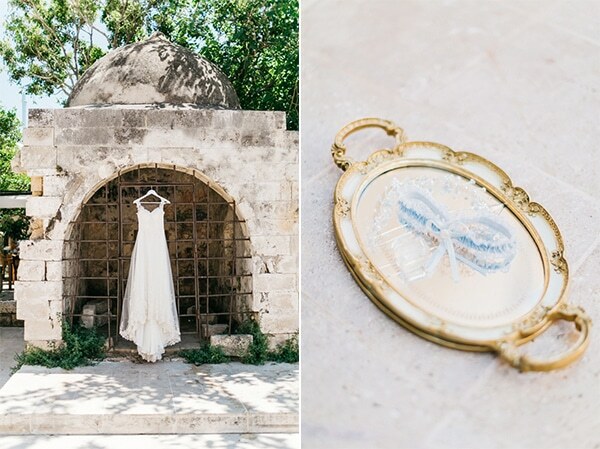 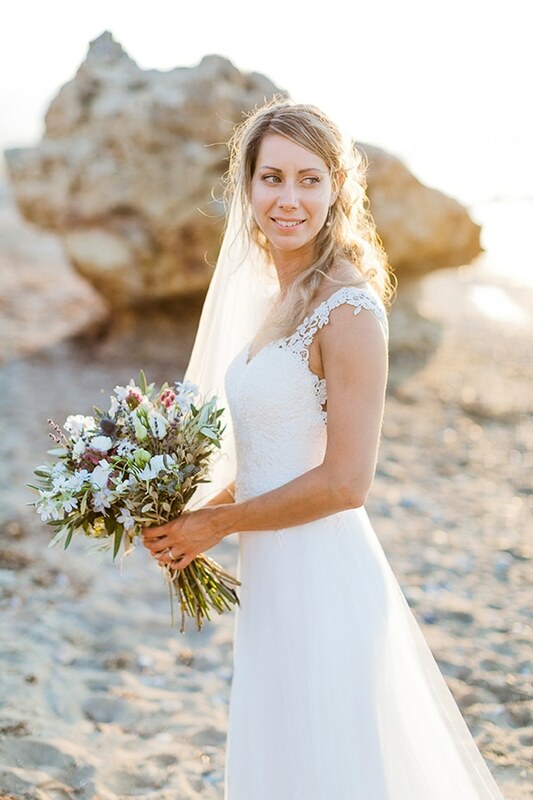 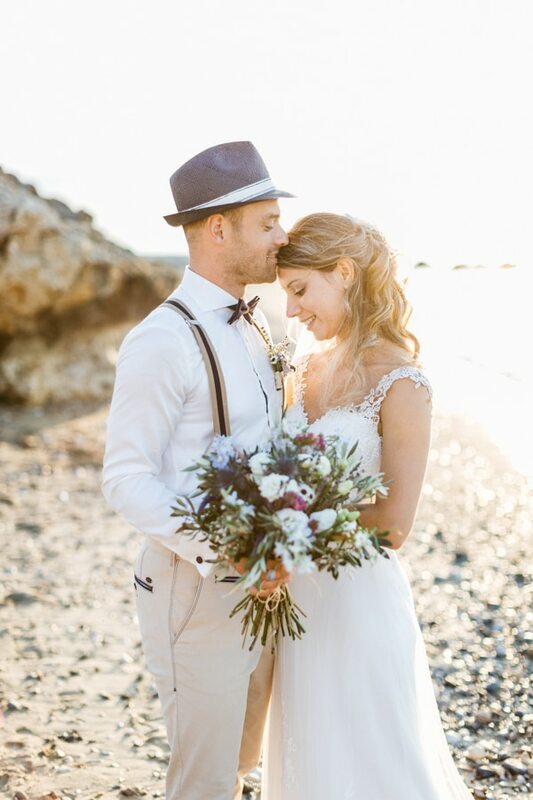 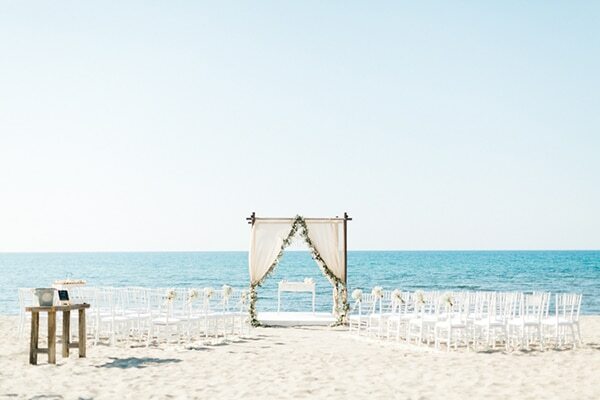 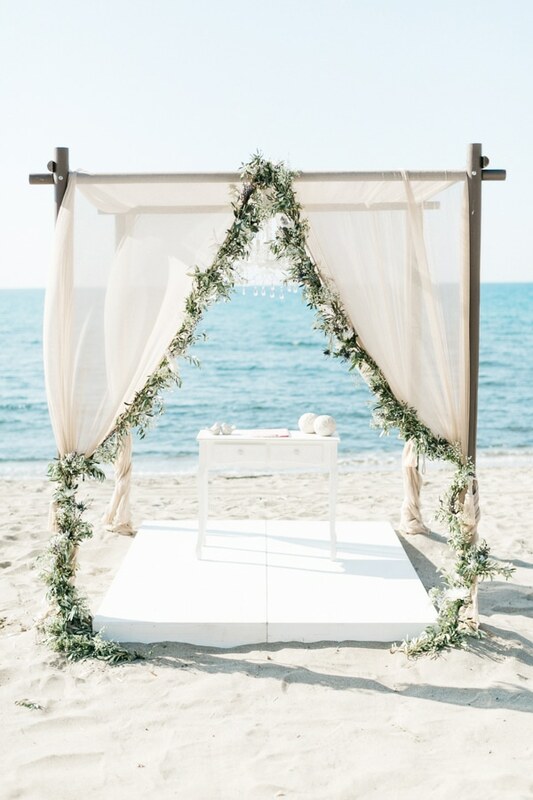 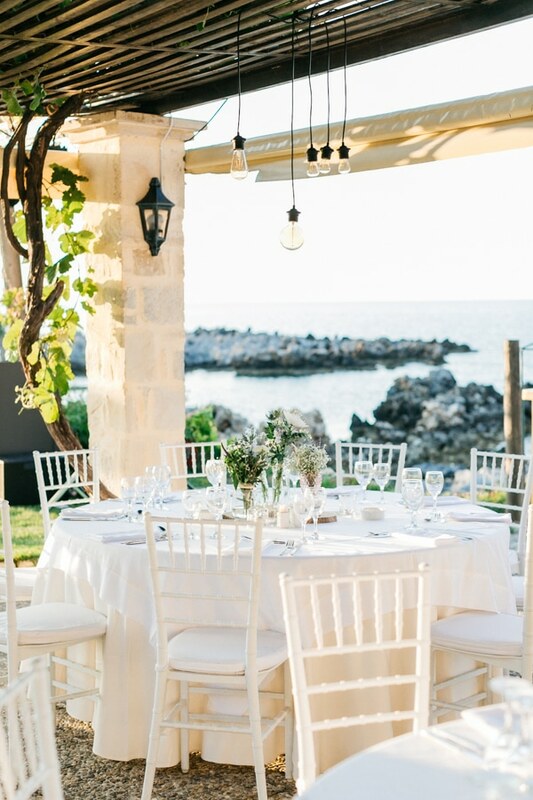 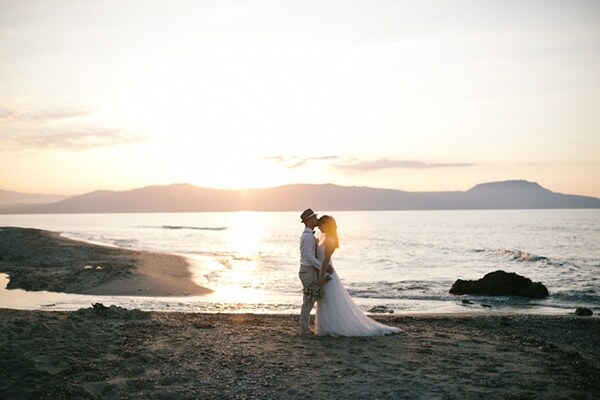 Today we are sharing with you beautiful beach wedding in Crete! 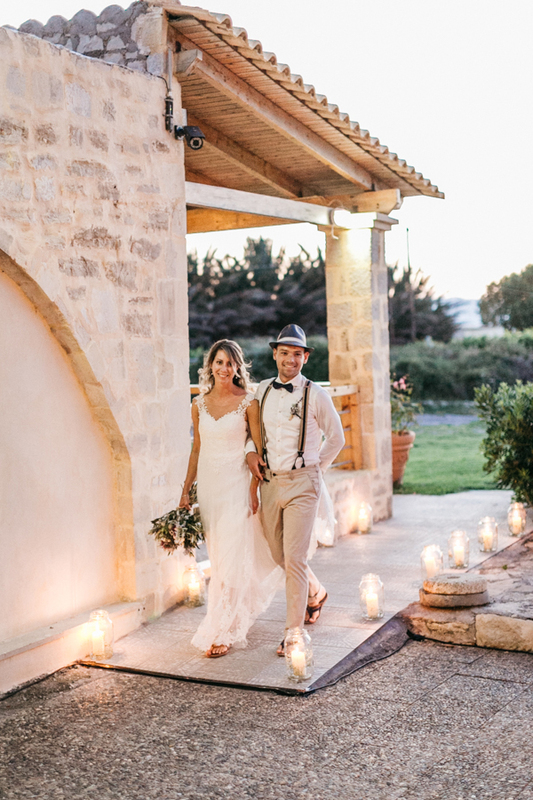 The couple created an intimate wedding with a summer look, a little bit bohemian and modern. 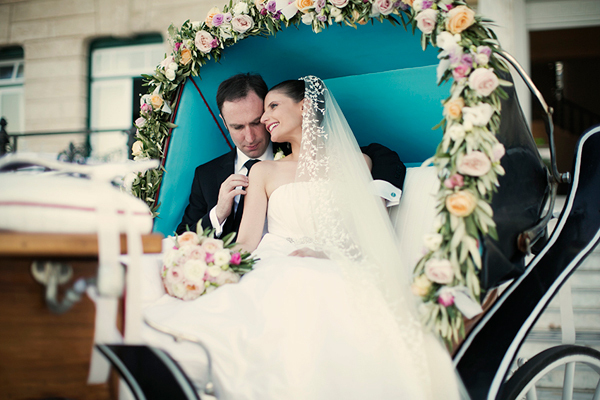 The colors used were mostly turquoise, purple and white. 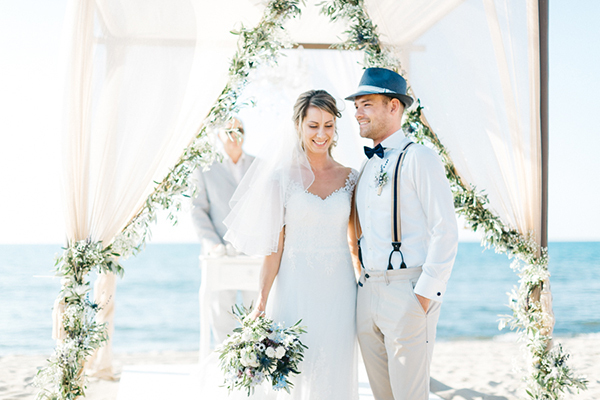 The couple celebrated their love with their guests with music, drinks, dance and lots of fun! 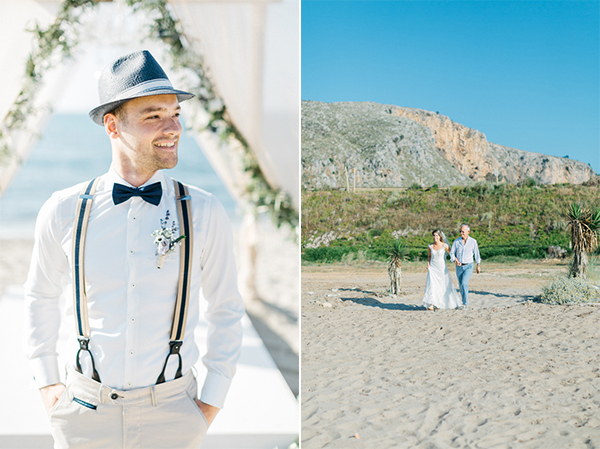 You are going to absolutely fall in love with this wedding! 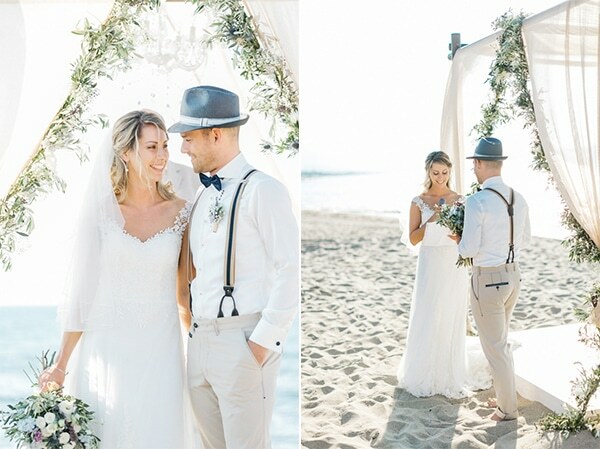 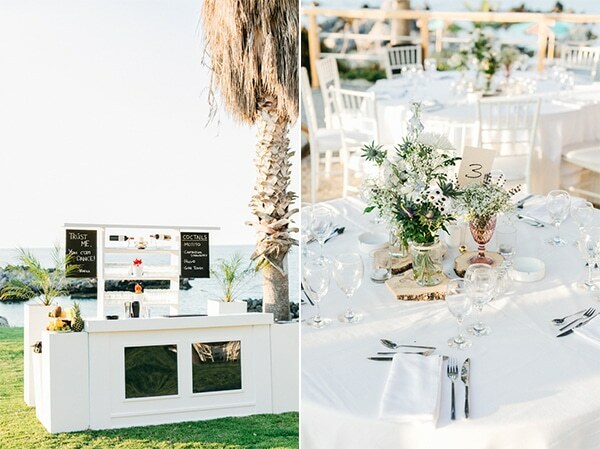 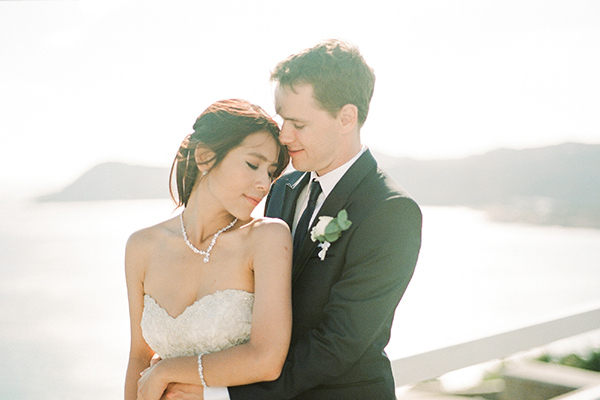 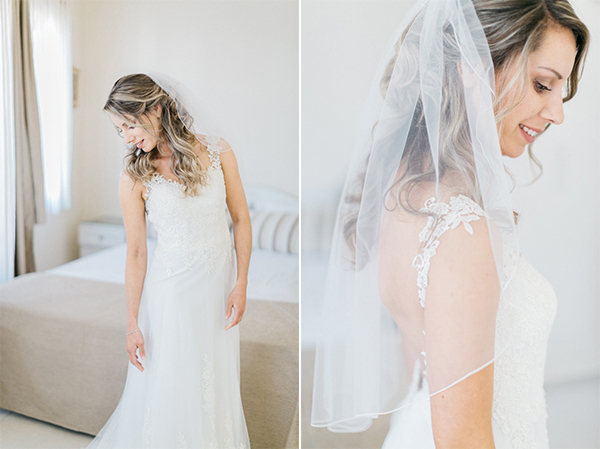 “We wanted an informal wedding, on the beach were everyone would feel comfortable and happy. 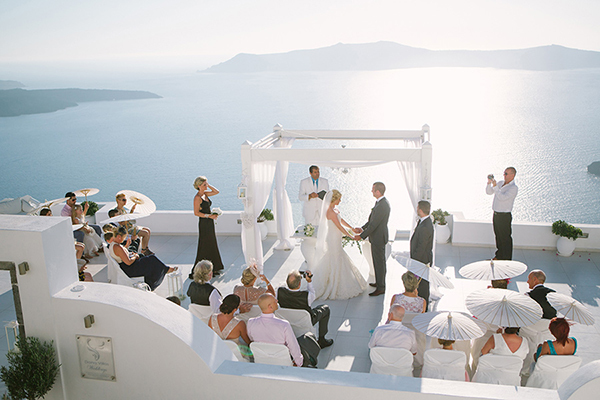 As I am half Greek and grew up in Greece, it was easy to make the choice for a Greek island”. 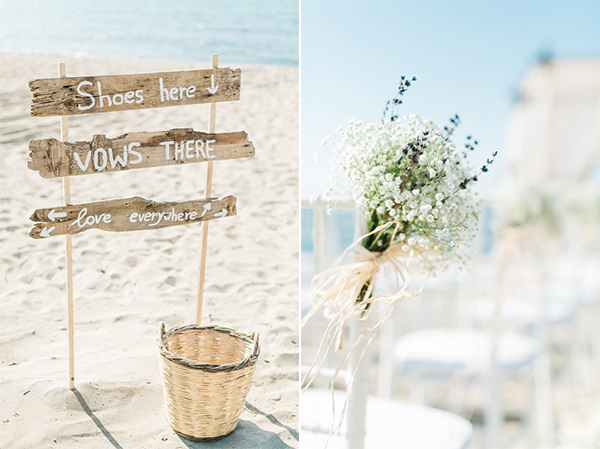 “I found inspiration on blogs and on Pinterest. 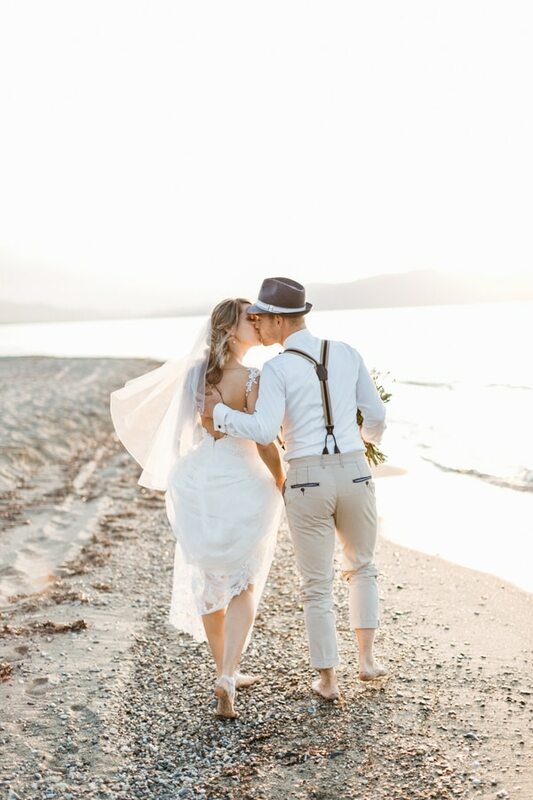 The best moment of our wedding was seeing each other on the beach”. 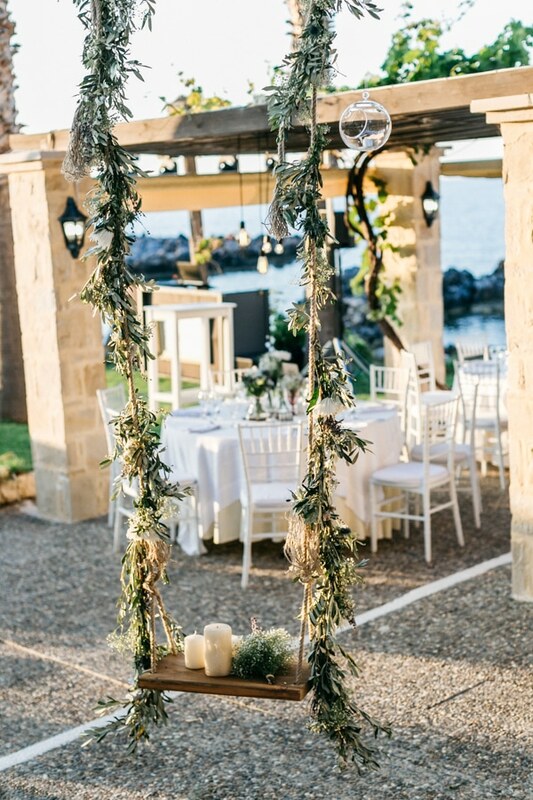 “Natasa Mavromati from Stepsis and Manfler Zempili organized the whole decoration for us. 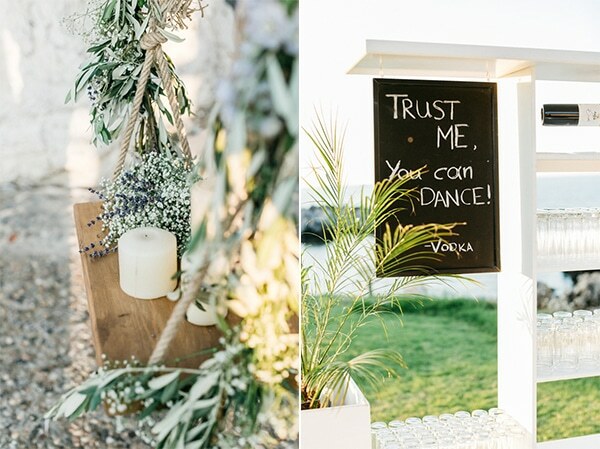 We sent them all our ideas on moodboards and they created something beautiful, which fitted our style perfectly. 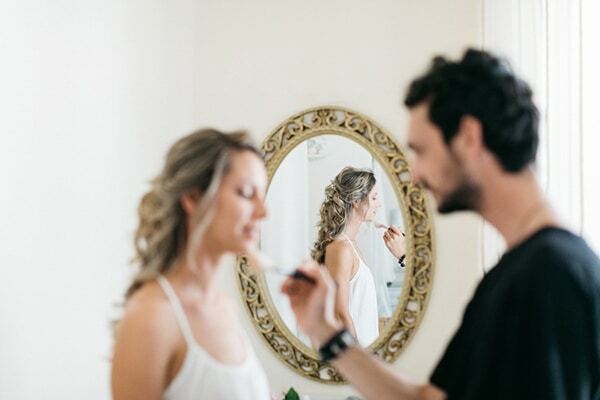 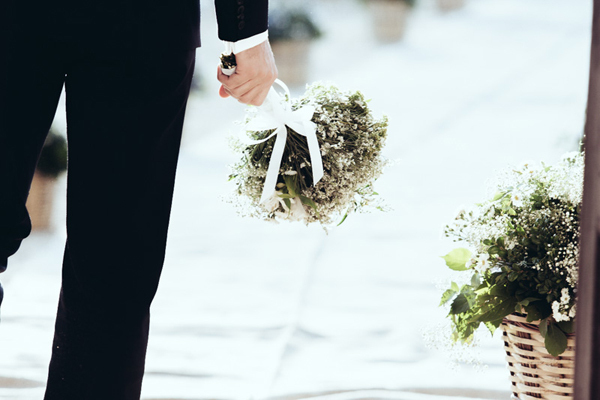 It was wonderful that one day before the wedding we could see the flowers and discuss some last changes”.